Kel-Tec's semi-automatic Sub-2000 is a rifle chambered for pistol cartridges and can accept most double column handgun magazines. 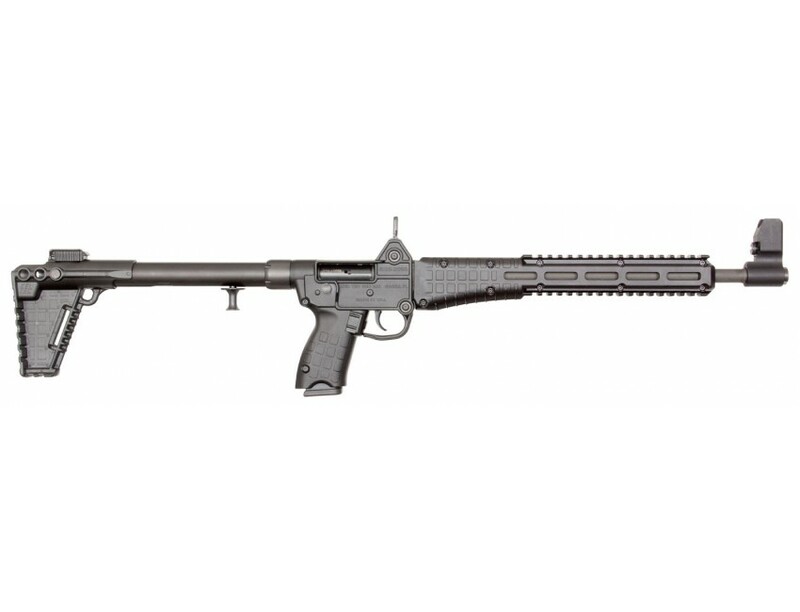 The Sub-2000 is classified as a "sub-rifle" because of its small size, light weight, and the use of a pistol cartridge. It is intended as a compliment to the handgun with which it would have full interchangeability in ammunition and magazines. Easily be disassembled for cleaning or inspection without tools, it is ideal for backpacking trips and situations where space and convenience are paramount. By rotating the barrel upwards and back, the Sub-2000 can be instantly reduced to a size of 16.25" x 7" for ease of storage. 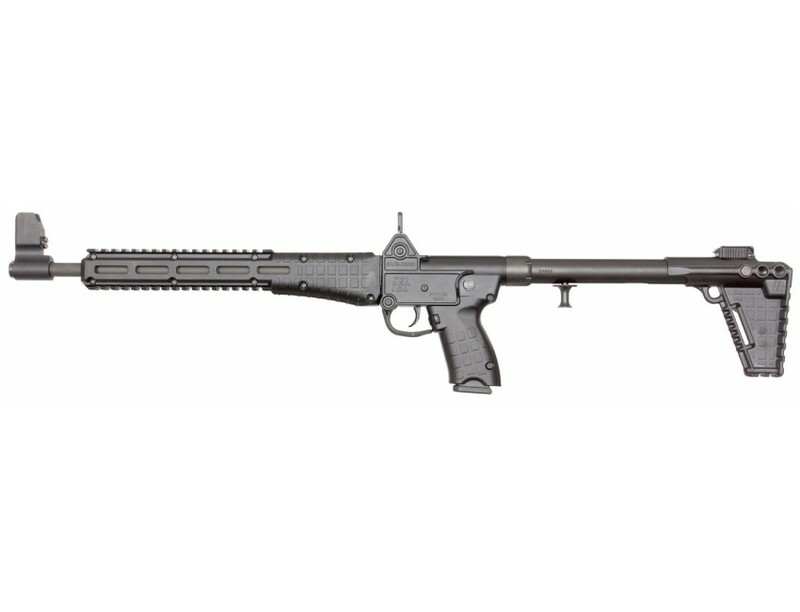 The Sub-2000 has a 3-position stock providing an adjustable LOP (13-14.25"), and two integrated Picatinny rails on the forend for mounting accessories. The ergonomic charging handle is located under the bolt tube for ambidextrous operation. 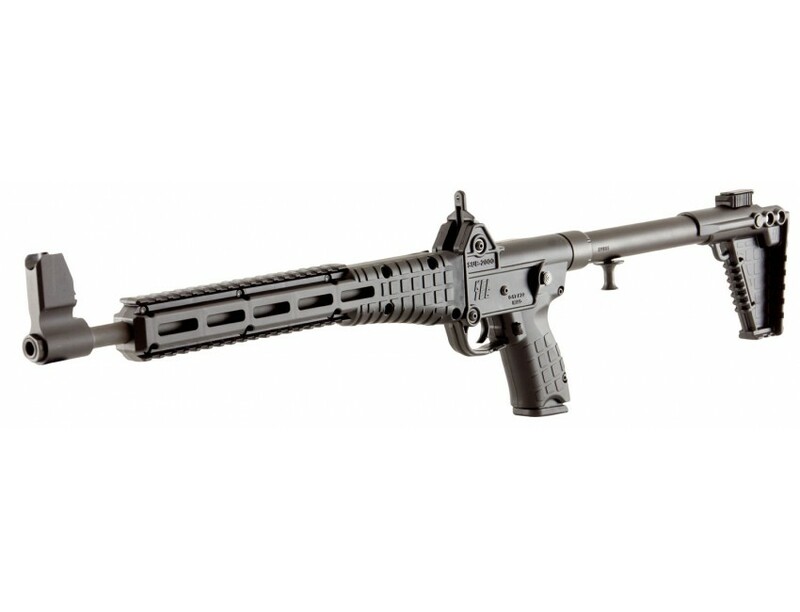 It has a ghost ring rear sight and an adjustable front sight with a removable T6 6061 aluminum housing.This model comes with a 17-round magazine. It is compatible with Glock 17 mags.